Task: to produce our own coffee blend. Studio’s custom espresso blend has a full bold flavor and a pleasant aftertaste. 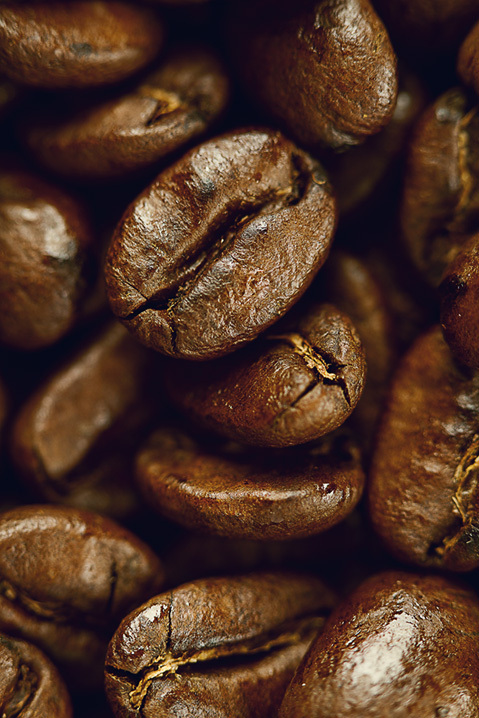 The blend’s recipe employs Arabica beans in the following proportions: 30% from Costa Rica, 30% from Brazil, and 40% from Ethiopia. Different beans are roasted separately and mixed together afterwards. Trying to crack this perfect recipe took a year of our research and trial, but we did achieve the needed taste profile. The flavor truly blooms in about ten days after roasting and stays there for another couple of weeks. This is exactly why we roast our coffee twice a month in small batches, the freshness we achieve is so worth it. 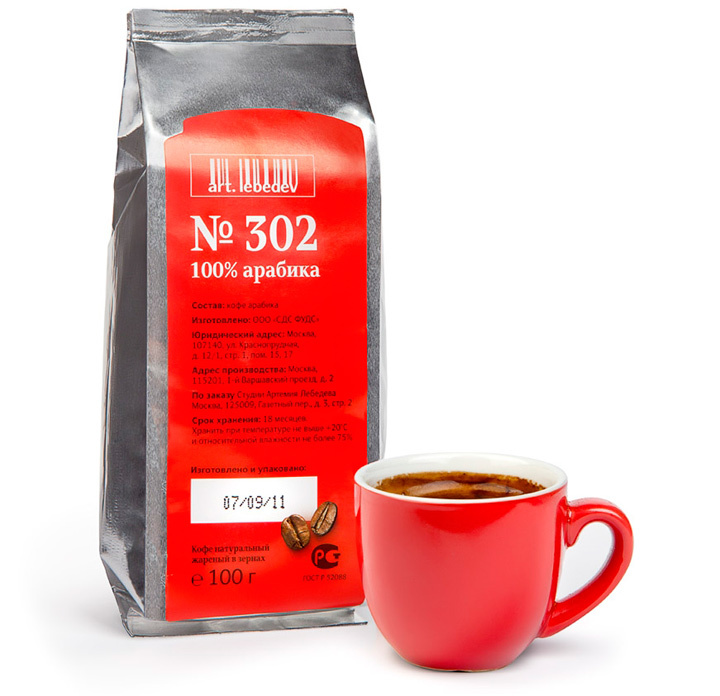 New format of our signature coffee blend #302 packs one hundred grams of the potent beans. It’s sized for a home kitchen, so you’ll go through a bag just in time to ensure the maximum freshness of the product. 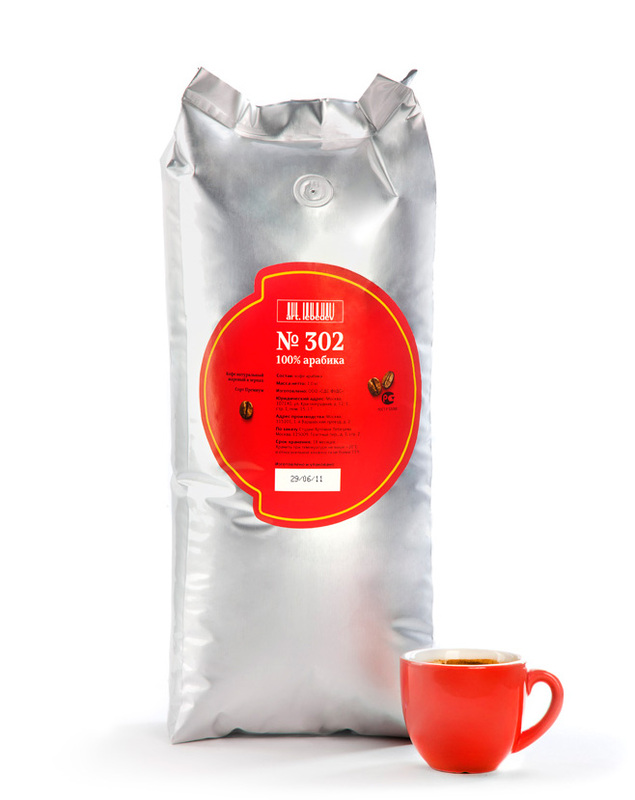 Our special foil bag seals in the rich aroma and shields the beans from humidity for up to 18 months. The flavor, however, is at its pick for about three-four weeks from the date of roasting, so check your package.